Sing Me a Story: Music is designed to encourage music-making and imaginative play through interactive storytelling. Each class will include a movement warm-up, sing-alongs, a new or classic children's story, as well as various music activities designed around the story of the day. Through singing, dancing, and instrument exploration, your child will learn new vocabulary, core musical concepts, and the social skills necessary to prepare them for school. 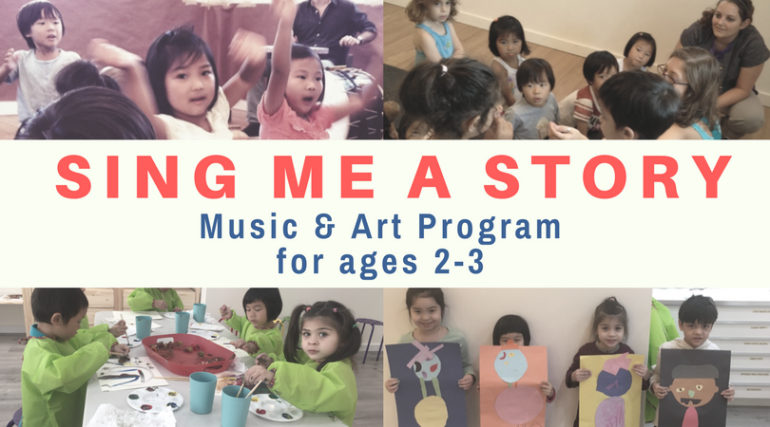 Sing Me a Story: Art is tailored for your young artist to explore a variety of age-appropriate art materials and activities. 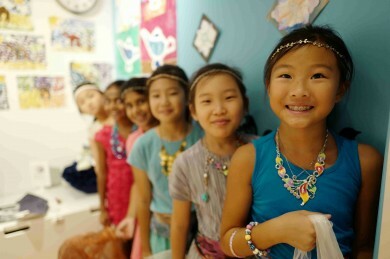 With parent's assistance, the 45-minute art class will introduce multiple activities such as painting, drawing, stamping, pasting, cutting, stringing beads, peeling stickers, collaging, playing with clay, and more. Each class will have a different theme based on the story introduced in the music portion of the program. Trial classes are available on the following dates before the Spring session begins. Space is limited. Please R.S.V.P. by email or call 201-205-1121.